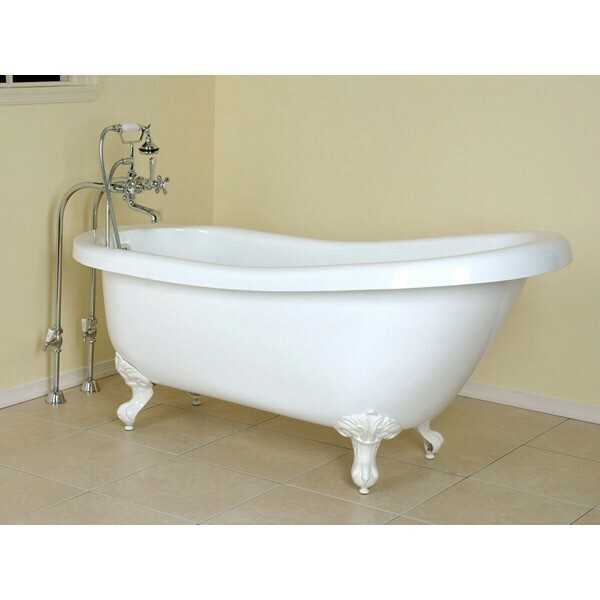 The Mesa Newport single slipper free standing soaking tub combines elegance and sophistication to a traditional design suitable for any contemporary bathroom. Self leveling legs. 67"L x 28"W x 31"H. Legs are available in a variety of trim colors. UPC Certified. Faucet sold separately. Lifetime Warranty. Call 800-720-1062 for more details. 28" x 67" x 31"